As Sheila and I returned from South Africa to Botswana, we left behind us a country on the brink of a new era. With a free Nelson Mandela leading the African National Congress in its negotiations with the white minority government for an end to apartheid and the establishment of a multiracial government in 1993, Mandela and de Klerk had been jointly awarded the Nobel Peace Prize. The year ahead, 1994, was to bring victory to the ANC with an electoral majority in the country’s first elections, and Mandela would be elected South Africa’s president. Basil Read Construction was finishing up its contracts in Maun and reluctantly moving elsewhere. Senior personnel, including John Riley, Adie de Koning, Andy Dry and Ivan Pretto wrapped up the paperwork. Ivan left about April 1994 and his wife, Tessa, stayed on another month. Drivers, operators, mechanics and surveyors left for other contracts much earlier. 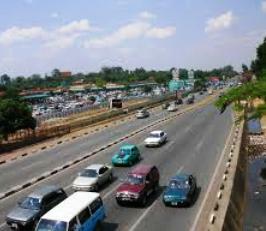 In January I was instructed to go to Lusaka, Zambia as site surveyor to help build 8 km of double lane approach highway into the city. Except for Vince McAskill, I had never met any of the crew there, and as no particularly memorable incident occurred involving them, I’ll mention no names. The road had a central island, regular bus-bays, and feeder roads all with kerbing. All very smart, as befitted the gateway to a capital city. The contract had been obtained by buying out the company that had actually won it, C. A. Brand, so we operated under their name and all our permits, both work and residence, reflected that. 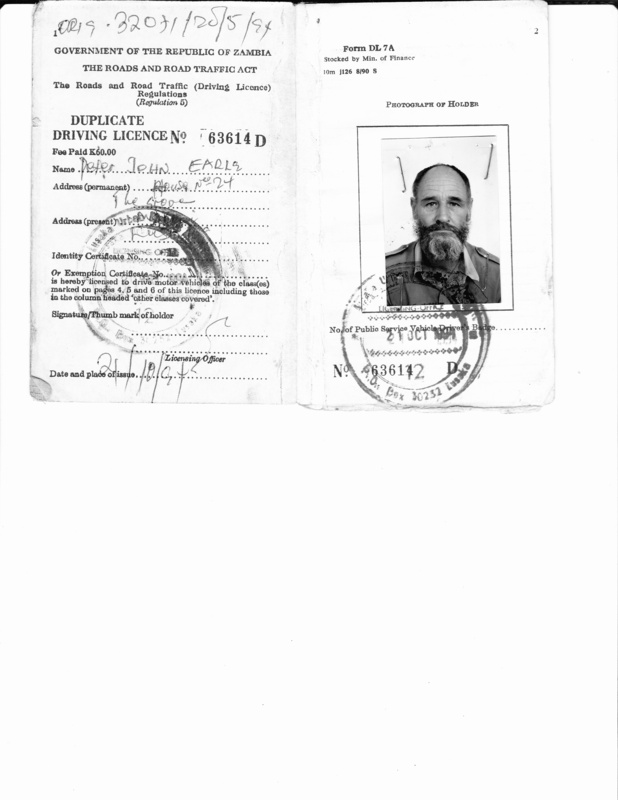 We had to apply for Zambian drivers’ licences, as well. Naturally, as soon as I had a spare moment, I went to look for my Alma Mata, Lusaka Remand Prison… I had last been an inmate there in 1966. No longer a prison, it seemed to be used as residences. The yard, though still walled, lacked the gates, and half naked kids peered out of what remained of the guardhouse. Where it had stood, squat and menacing, isolated in open grassland, it seemed to have shrunk, and was now all but lost in ghetto clutter. Some of its yard walls formed the rear wall to tin shanties. My memories of it were actually mostly good, actually. Arrows of experience for a writer’s bow. What a change from Botswana, though! At the slightest hint of a drought, the Botswana Government dished out free maize. Here, in Zambia (and Zimbabwe, Malawi and Mozambique) folk were much more inventive, more industrious. And more friendly. To my mind, it was the result of their suffering; being force to look after themselves. Gardens flourished, oozing vegetables and fruit trees. All sorts of industries sprouted up along the roadside, along with hawkers who laid out their goods for the sale to passing traffic. Not only carvings of wild animals, second-hand tyres and fruit and veg, but home-made stuff: beadwork, beaten tin containers, wire-cars with coke-can wheels, ashtrays, lamps and clay vases. There were rock outcrops being cracked with chisels and broken by hammer into 20mm sized aggregate for use in making concrete, sold by the wheelbarrow load! I used to use broken Land Rover half-shafts sharpened to a spike to make a hole in the ground for my survey control level poles, given to me free in Botswana. I was astonished to find that in Zambia, they were scarce and, if you could find any, expensive. When I enquired, I was told they were used as chisels for hand-mining. Nothing went to waste in Zambia. And I do hate waste. This entry was posted in Exploring Africa and tagged Basil Read Construction, C A Brand Construction, Lusaka, Lusaka Remand Prison. Bookmark the permalink.